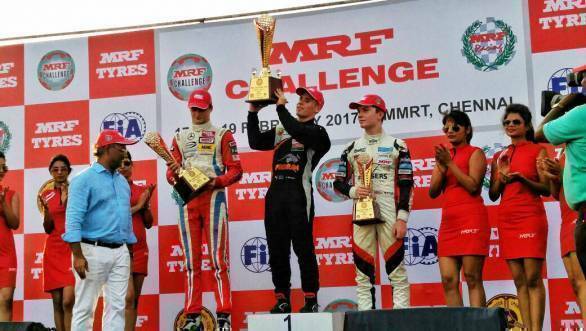 The much awaited first day of the 2016 MRF Challenge season finale ended on a high note for Joey Mawson. The Australian racer overtook his rivals Ralf Aron and Daniel Ticktum to win the second race of the final round. The win has given Mawson a lead of over 27 points over his rival Harrison Newey. However, it wasn't a completely smooth weekend for Mawson. Joey Mawson only qualified seventh for the first race, with Harrison Newey on pole. Newey's time was 1min 30.253sec, which was quicker by a tenth of a second from Mick Schumacher. Following Mick to third place on the grid was Red Bull Junior driver Dan Ticktum with a laptime of 1min 30.759sec. Newey's pole position had put him in a comfortable lead in the first race. However, there was an intense battle between Aron and Schumacher. The latter was constantly chasing Aron, and finally managed to find a gap on the seventh lap, allowing him to overtake his rival. Even though he had his eyes set on first place as well, it wasn't going to happen - there was simply no catching Newey. On the other hand, Mawson had to tackle Felipe Drugovich and also Dan Ticktum to finally finish in fifth position. The other racer who put in an impressive performance was Presley Martono who ended the race eighth. The reverse grid meant that Ticktum would start Race 2 on pole. However on the first lap of the race, at the very first corner, he lost the lead to Mawson. From there on, Mawson continued to lead, with Ticktum trying to catch up, but failing. Eventually Ticktum was overtaken by Aron, but could do little to catch Mawson who was four seconds ahead by then. Harrison Newey did move up from 6th to 4th but wasn't able to make much progress after that. When the chequered flag fell, it was Joey Mawson first, followed home by Ralf Aron and Daniel Ticktum. 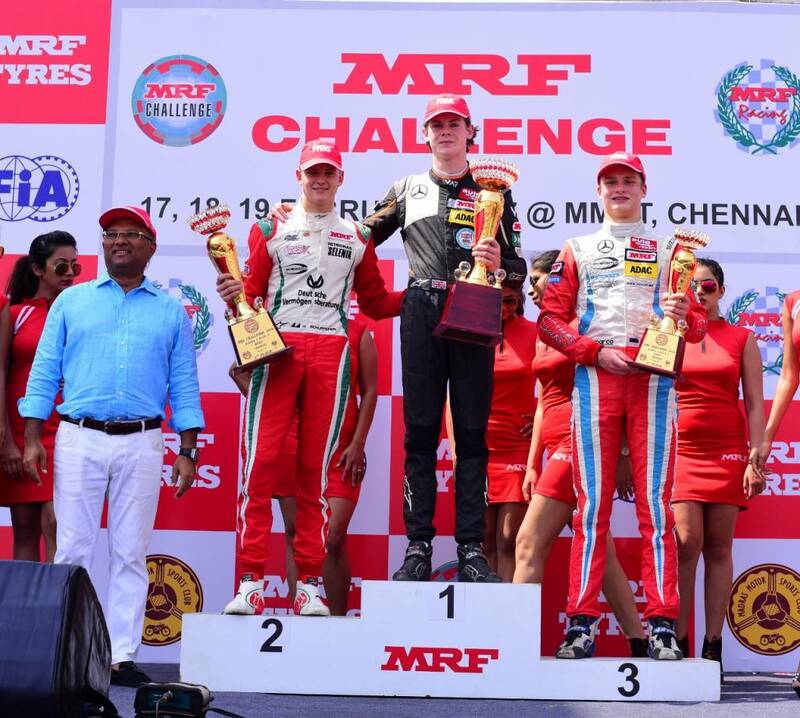 It was the first time that Ticktum made it to the podium in the MRF Challenge. Speaking of his win in Race 2, Mawson said," It was a great start and after that it was all about managing the pace. I even got the fastest lap, which helps me increase my lead. It is going to be important to stay out of trouble tomorrow but am really looking forward to it." 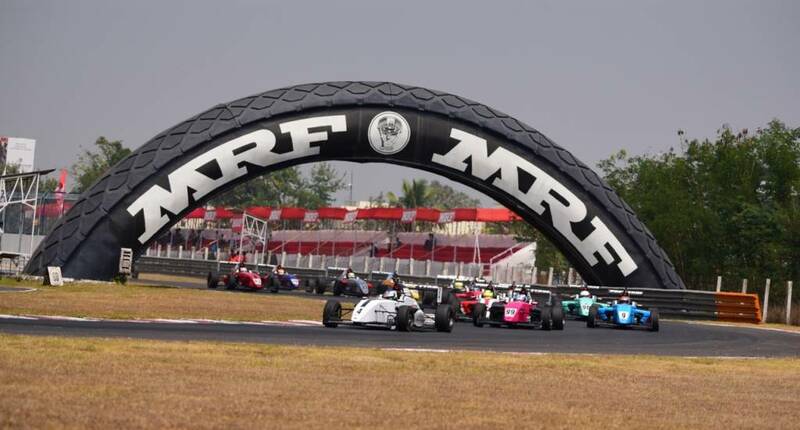 The second round of the MRF 1600 National Racing Championship was also held concurrently. 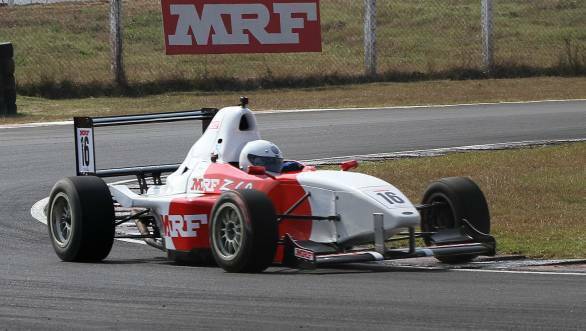 It was Karthik Tharani who was on pole for Race 1, with Anindith Reddy taking second position on the grid. When the race started, the main battle, however, was between Tharani and Raghul Rangasamy. The sparring between the racers continued in the initial laps as Rangasamy was Tharani rather closely. However, one mistake by Rangasamy cost him his dearly, as this let Reddy move up into second position. Once he settled into second, he set about tracking down Tharani. But it wasn't to be. Tharani ended Race 1 first, with Reddy second and Rangasamy third. Sandeep Kumar and Arya Singh finished in fourth and fifth positions respectively.